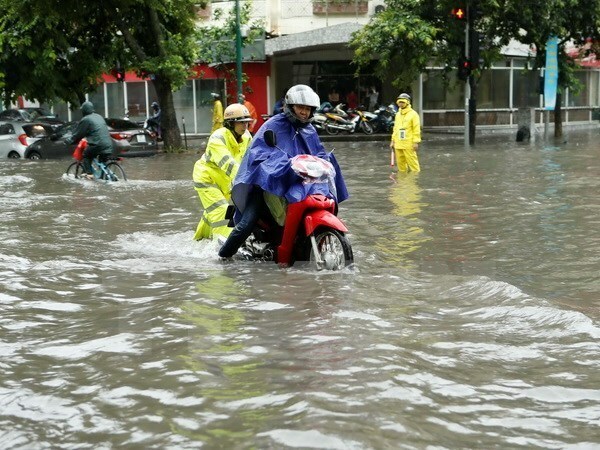 Hanoi (VNA) – A ceremony to sign a project on improving Hanoi’s capacity of managing water drainage works took place in the capital city on August 9. Signatories were the municipal Department of Construction, the Department of Innovation Management and Environmental Sciences of Yokohama city, and the Japan International Cooperation Agency (JICA). The second-stage project will be carried out from September 2017 and August 2020 with a total cost of around 60 million JPY. It will cover operation and maintenance of pilot wastewater treatment plants, mud treatment, mitigation of losses from floods in pilot areas, and organisation of seminars with the cooperation of member firms from the Yokohama water enterprises’ association.